Dogrobes are ‘the original’ practical dog drying coats that are perfect to use after outdoor adventures, swimming, training, bathing and working. We created a complete brand identity, using a pawprint logo to show the fun, playful nature of the company. We used a bright Pantone red and complimentary grey so that we could guarantee consistency throughout the printed material. We then created brand guidelines containing the rules for the composition, design, and general look of all the brand’s collateral. 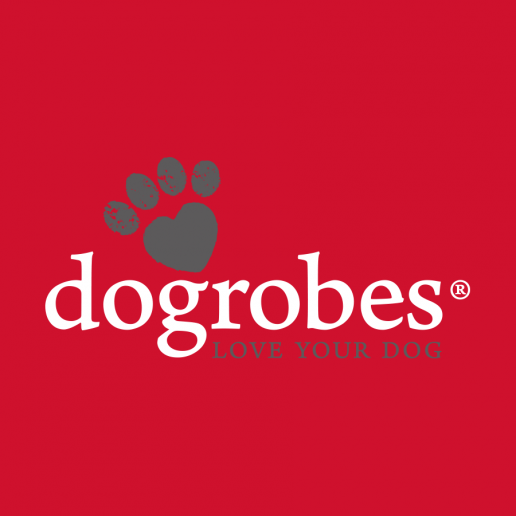 We’ve had the pleasure of working with Dogrobes for many years and have designed various items of their printed marketing materials including advertisements, flyers, brochures, postcards, packaging, labels, stationery, clothing patterns and signage. Dogrobes regularly appear at exhibitions and trade fairs with the gazebos and banners which we designed for them. It’s vital that their brand is instantly recognisable and consistent – so hopefully you’ll spot them when you see them next!